I first heard Joel Erway speak on a live stream in the Funnelytics Facebook Group and he was talking about something I do and would like to get better at, which is webinars. During that live stream, I immediately commented to Joel that I would love to have him on the podcast, he said yes, we coordinated, recorded… and then my life went sideways. This took way too long to publish but you’re in for a real treat. Like many other entrepreneurs, Joel’s path to his webinar agency was anything but a straight line. He graduated from college as a mechanical engineer, found his first job, then found he got bored eight months in. Fortunately, watching something called a “lunch and learn” at work gave Joel a glimpse at presentations (in sales) and it opened his eyes to sales and marketing (something he didn’t see himself doing). After taking the risk to step into a new job, Joel dove head first into studying sales and how to make better presentations at his new job so he could land larger clients. Once he realized he had grasped this, he decided to go into business for himself (as opposed to making millions for other people). You’re going to want to get a pen and paper for this one… SO much gold. Did you start with webinars in the online marketing space? What made you decide to go all in with webinars? How does someone decide what the right format is for their own webinar? How frequently do you recommend someone run a webinar? What are your thoughts on a live webinar vs. automated webinars? 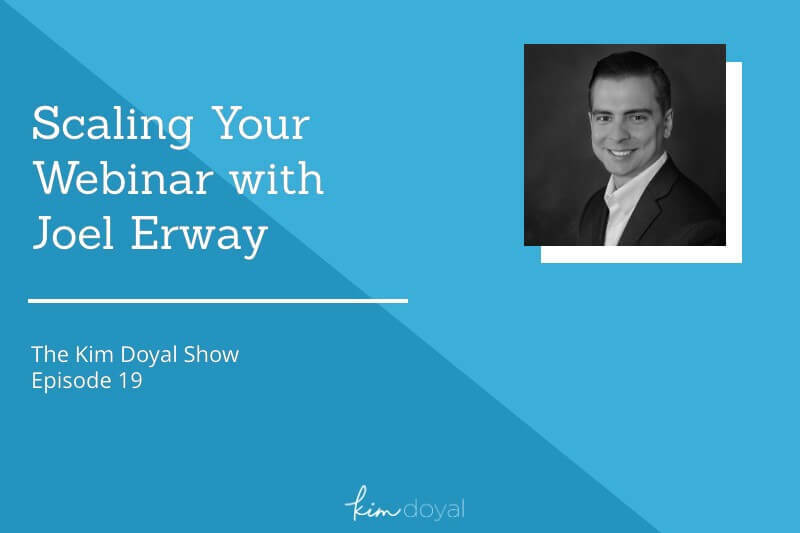 What’s the best way to drive traffic to a webinar? What platform do you recommend people use?